I have a deep and abiding interest in preserving the best of Southend-on-Sea’s rich architectural heritage. This does not make all new development wrong, much of which is commendable (although, much is ugly and insubstantial), but it is an acknowledgement that once gone, historical treasures cannot be resuscitated, summoned from the dead; no phoenix is possible post wrecking-ball. I have just joined the Southend Society, and hope that I can assist in keeping alive those special bits of Southend-on-Sea’s past, much of which falls within the Milton ward that I represent. 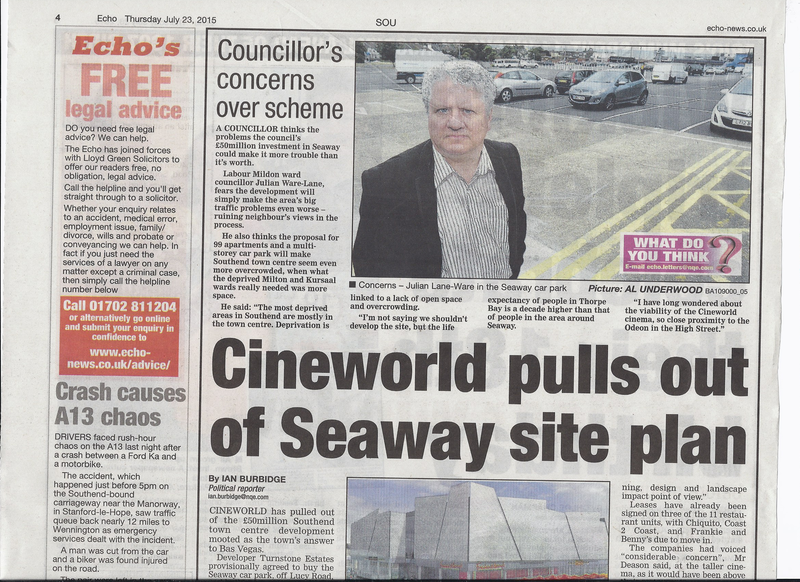 I was telephoned by the local press earlier this week in regards to the latest development at Seaway Car Park. I have spoken and written about this a number of times, but I think it is worth re-stating my views on the proposals. I guess it all begins when one looks at deprivation, and how it clustered largely in the town centre. My post (Quietly raging), written just after my election, is still relevant, and explains why I cannot ignore what is going on at Seaway. •	The town centre wards have significant areas of deprivation. •	The town centre wards also see life expectancy rates more than ten years lower than other wards in the borough. •	Population density and overcrowding are a significant factor in deprivation. •	Whilst I do not suggest stopping all development, I am extremely concerned about further overcrowding an already crowded area. •	Milton also has significant traffic and parking issues. •	The town centre wards also do not have much open space – whilst only a car park, it is open. •	The road infrastructure already struggles to cope with existing traffic volumes – the commercial ventures here will attract more cars. •	There is a loss of parking, although I accept that some of this will be made up by other car parks. However, none are as close to the seafront as this is. •	The nearby residents will suffer a loss of view. •	Is there a need for a second cinema? 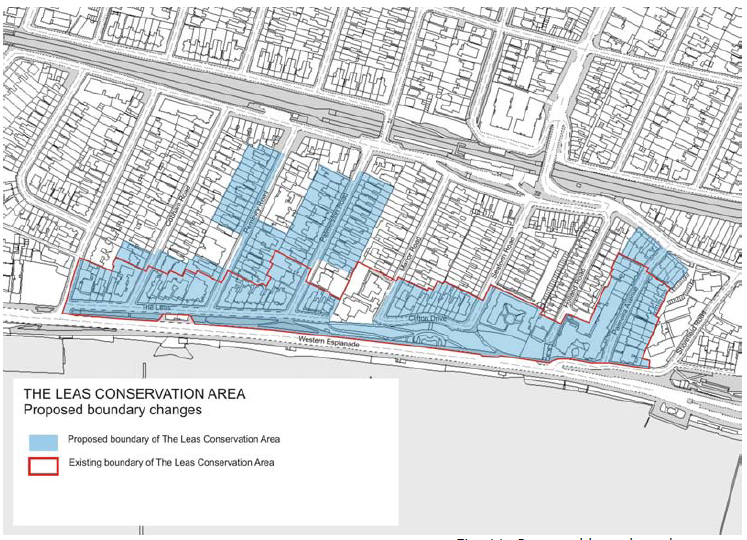 Whilst I accept this is a commercial decision, I suspect that this will exacerbate the current south/north divide in the High Street – which sees (in my opinion) the southern, seafront, end doing much better than the northern, top, end. We are blessed in many ways, those of us who reside in Southend-on-Sea. Despite the occasional ravages of bad taste development we still have a fine stock of Victorian and Edwardian architecture. The ward I am privileged to represent is especially enriched by its architectural heritage, and having five conservation areas in the ward is a testament to this. I think we are beholden to ensure that the inheritance that we enjoy today is passed on to future generations. Whilst I do not for a moment think, or suggest, that no modernisation should be allowed, I do think we have to carefully consider if what we change will be the source of regret in the years to come. Not everything old is good, and sometimes it is awful. But I believe that the town is enhanced by what has survived the ravages of time and the depredations of those for whom profit supplants all. I would guess that Royal Terrace is the most photographed street in Southend, a testament to old architecture and conservation ideals. The town is a draw to tourists, and the old buildings play a role in this. From the iconic pier, to Royal Terrace, the Priory and Southchurch Hall, Porters too, and just as important are the legions of fine streets that show the town in all its glory. These not only enhance the lives of those who live here, they help the town’s economy too. This week we have witnessed another Development Control Committee pass its judgement over a lengthy list of planning applications. In some ways this is a testament to a forward thinking town, that so much is being planned. I just hope that whilst pleasing everyone is nigh impossible, we will move forward in a way that is sympathetic to the character of a Victorian seaside resort. 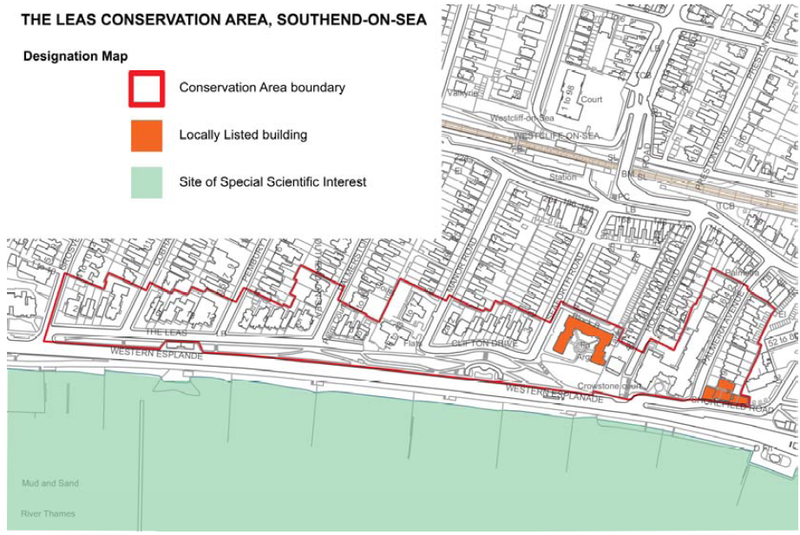 The following maps are from the leas conservation area appraisal by Southend-on-Sea Borough Council. This area covers parts of both Milton and Chalkwell wards.